The Hunger Games: Mockingjay Part 1 starts in one of the most unassuming movie fashions ever, sans any of the adrenalin rush inducing Hollywood tropes. Katniss Everdeen (J-Law), the braveheart is shown dealing with her own set of trauma in a centre and in no time, the title flashes on-screen and the movie starts. This is one of the major things I liked about the movie, its fast-paced & crisp editing. 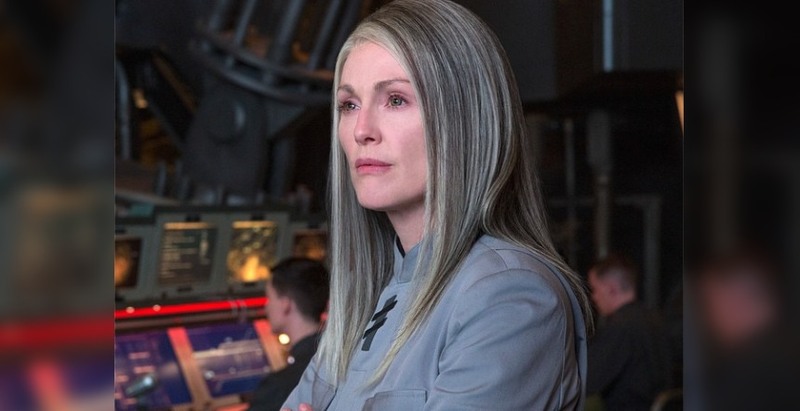 Mockingjay Part 1 starts off with Katniss Everdeen along with her mother and sister Primrose living in District 13 where President Alma Coin (Julianne Moore) is spearheading a rebellion against the Capitol. Our collective-swoons-inducing Adonis, Liam Hemsworth gets more screen-time in this movie (thank Heavens for that!) 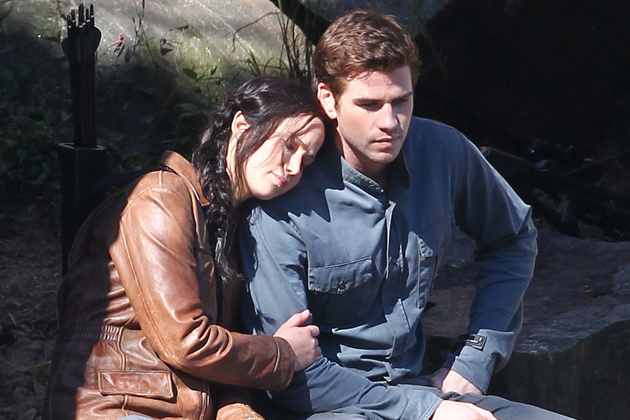 reprising the role of Gale Hawthorne, the boy who has always been in love with our dear Katniss. Say whatever you want, I just can’t digest the fact that anybody would ever choose Josh Hutcherson over Liam Hemsworth. Like, HAVE YOU SEEN THAT BOY! Liam, I mean. The usual suspects return in this movie – Haymitch Abernathy (Woody Harrelson), Cinna (Lenny Kravitz), Plutarch Heavensbee (Phillip Seymour Hoffman), President Snow (Donald Sutherland), Caesar Flickerman (Stanley Tucci), Finnick Odair (Sam Claflin) & Katniss’ beloved Peeta Mellark (Josh Huutcherson). Newer entrants to this movie is the Capitol’s resident Director, maverick Cressida (Natalie Dormer a.k.a. Margaery Tyrell from Game of Thrones) who willingly flees from the Capitol with her team to help shoot propagandist videos featuring Katniss to fuel the uprising. 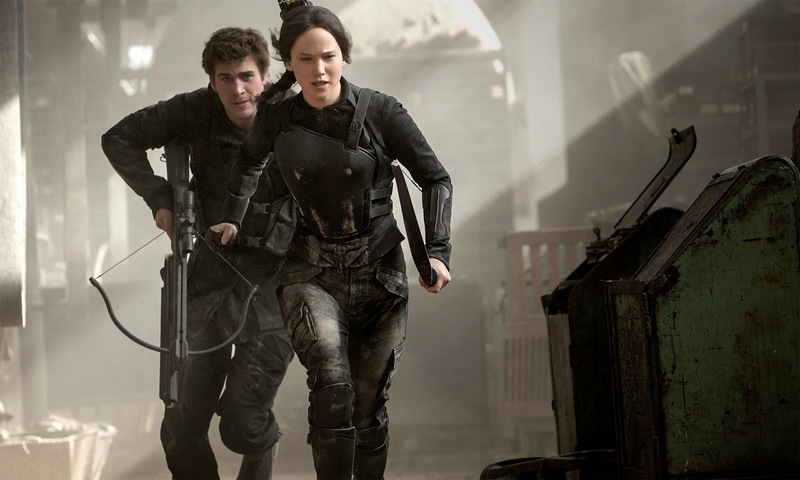 Katniss becomes a weapon and the face of the revolution against the Capitol while Peeta becomes the Capitol’s trump card to quell the rebellion & the poster child of the wronged, Katniss. Star crossed lovers destined never to unite anyone? Well watch the movie to know. The climax will leave you both shaken and stirred, almost too disturbed to function for the next couple of hours, especially if you’re someone who gets too engrossed in movies. Needless to say, the cinematography & the VFX are brilliant. The performances are perfect to the T. The dialogues are wonderfully woven to bring out the sentiments of rebellion and Director Francis Lawrence thankfully succeeds in drawing enough gasps and sighs from the audience as is par for course for a movie like Mockingjay. 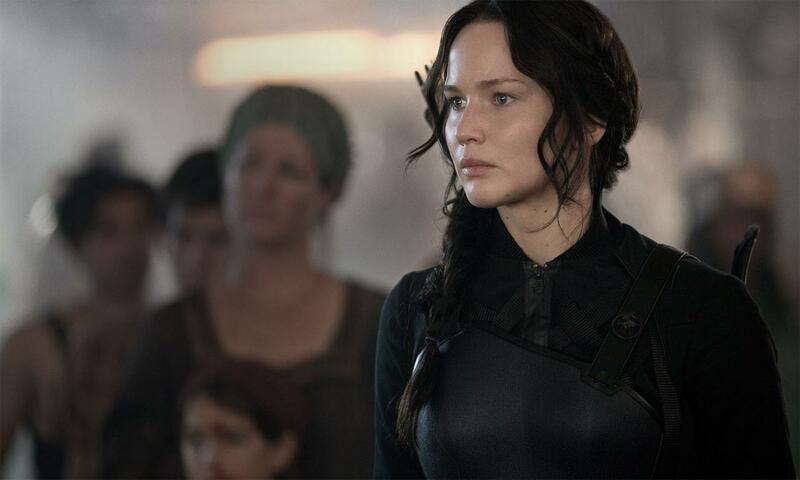 A special mention must be made to J-Law’s song The Hanging Tree. Coming at a pivotal point in the screenplay, this haunting, mellifluous number with its deep lyrics, is sure to give you the chills. As someone who hadn’t read the book, I had gone to watch The Hunger Games in 2012 to fill an otherwise boring evening and had come out with giant size gooseflesh having spent the better part of the movie on the edge of my seat. Catching Fire was largely a disappointment for me. Hence Mockingjay Part 1’s screenplay delighted me to the point that by the end, I was riveted to the edge of my seat, just how I was when the first movie had ended.